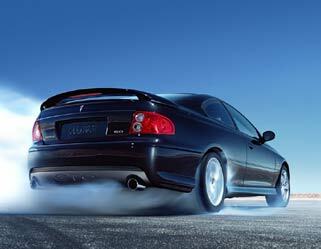 Bringing back the Pontiac GTO meant developing a sport coupe that could live up to the legendary name. This one does. A 6.0L LS2 aluminum V8 powerplant pumps out 400 horsepower, helping to make it the most powerful Pontiac GTO ever built. A taut, rear-wheel-drive independent rear suspension was a given. And an available Tremec close-ratio six-speed manual transmission was also a given. Yes, GTO is back. And it will once again become the benchmark against which all performance coupes are judged.